Planning the bachelorette party can be pretty stressful and exciting at the same time. 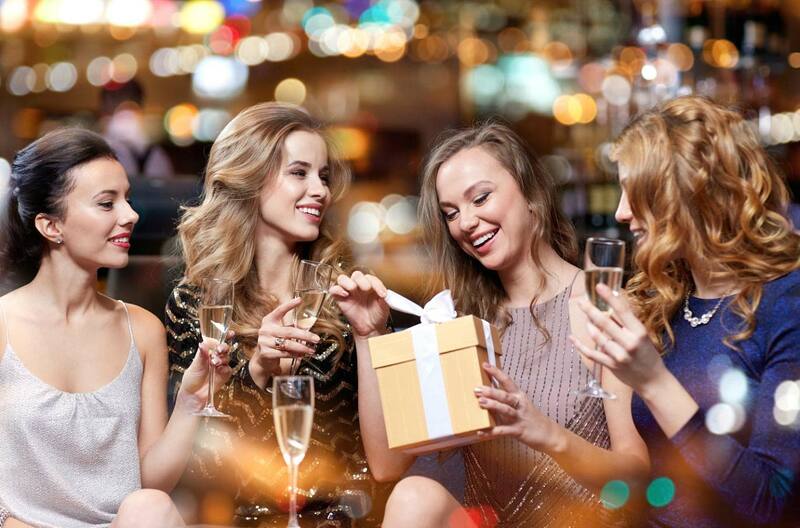 Since your best friend is getting married, you might want to throw her the best bachelorette party ever! If you have lots of time in your hands you might as well go ahead and take the time to consider all the options out there which might make that day extra special for the bride to be. But in today’s fast paced, hectic world you might not be able to dedicate as much time for planning the affair as much as you might want to. So we are going to give you a little head’s up with the basics so that you get to plan the perfect bachelorette party. The most important part of planning a bachelorette party is to remember that the event is for the BRIDE, not for YOU. Many women forget this and start planning something that they would want rather than what the bride would want. For every bit of planning, think, would she like that? Would she want that? If you aren’t 100% sure, maybe you should reconsider it. Talk to the bride to try to get some ideas about what she would like best. Maybe she wants to go away for the weekend, or maybe she just wants one night out. Maybe she doesn’t even want a big party, so make sure you ask her as part of your research. You can gather opinions from other friends about what everyone thinks she would enjoy. Some brides may be content with just a day outing in the city or a winery tour. Another important bit of information from the bride is who she wants at the bachelorette party. Get the full list from her, and coordinate by Facebook or email to schedule the best date for the event. This can be difficult because everyone has their own busy schedules, but pick a time when the most people are available, and settle on it. Make an RSVP by date so that everyone has to give you an answer before you move onto the next stage of planning. Once you have a plan for the duration (i.e. one day, one weekend, etc.) and time of the event, start making bookings. If you need hotel rooms, do your research and make that booking first. If you are going out to dinner, make sure you have a reservation at the restaurant and ask for any special requests you may have. If you are going to a specific set of bars, call ahead to see if you can reserve a space in each place so you all have a table to come back to. If you aren’t sure which bars to go to, do some research to make sure they are places that your bride will enjoy. Consider what she likes to drink, if she likes to dance, and the type of people she likes to be around. After the accommodation and itinerary are planned, start thinking about all the fun little things you can do. Should everyone meet at the hotel beforehand for drinks before going out? Should you all go get your hair and makeup done? Should you play games during your night out? There are lots of fun activities to make the night more exciting than just a normal night out, so do your best to make it an extra special event. Some girls are really embarrassed by all sorts of weird decorations or strippers and would not be pleased to have that as part of their night out with the girls. If your friend is a milder kind of girl, skip these silly typical bachelorette bits. Maybe just buy a simple sash that shows people that she’s the bride, and let her decide whether or not she wants to wear it out. If your friend is the opposite, then bring on the hilarious decorations and get ready for a rowdy night out!